According to the College Board, the average cost of attending an in-state four-year public college in 2011-2012 is more than $19,000 per year; for a four-year private college it is nearly $40,000 per year. Over the last decade, published tuition and fees for in-state students at public four-year colleges and universities increased at an average rate of 5.6% per year beyond the rate of general inflation. As a result, saving for college is the most significant savings goal of many families facing future college costs for their children, especially considering the recent wide-spread depletion of portfolio and home values starting in 2008. Advisors who understand the various education savings tools will bring significant value not only to their clients, but also to the advisory team. In this issue of The Wealth Counselor, we will examine several of these educational savings tools as well as the impact they can have on financial aid. * The beneficiary has the absolute right to the account upon reaching the age of majority (18 or 21, as defined by state law) and can spend this money however he or she pleases. In other words, it cannot be limited to educational expenses. For a beneficiary receiving needs-based government benefits, the required outright distribution may cause the loss of these benefits until the UGMA/UTMA funds are gone. For an immature beneficiary, the distribution and subsequent spending can cause other problems. * Neither the custodian nor the donor can change the beneficiary after the account has been established. Until the beneficiary reaches the age of majority, the custodian has a fiduciary duty to spend the income or principal for the benefit of the minor. * If the custodian uses income derived from UGMA/UTMA property to discharge or satisfy, in whole or in part, a parent’s or guardian’s legal obligation to support or maintain the minor, the income is taxable to the parent or guardian. And at least one state considers the payment of educational expenses to be a parent’s legal support obligation and that UGMA/UTMA funds used to pay the child’s educational expenses would be taxable as income to the parent. * The “kiddie tax” may also come into play. If the child is under age 18 (under 24 if a dependent, full-time student) all of the child’s unearned income above $1,900 (for tax year 2011), including UGMA or UTMA income, is taxed at the parent’s income rate, whether or not the parent is the custodian of the account. For children 18 years and older (24 and older if a dependent, full-time student), the child’s unearned income is generally taxed at the child’s income tax rate. * There is limited investment flexibility with these accounts; UGMA accounts are very restrictive in terms of the types of assets they may hold. * While a transfer to a minor under UGMA or UTMA constitutes a completed gift for federal gift tax purposes at the time of the transfer, if the donor names himself or herself as custodian of the account and that person dies before the child reaches majority, the UGMA or UTMA account assets will be includible in the donor/custodian’s gross estate for estate tax purposes. Planning Tip: Upon learning that your client is contemplating an UTMA gift or that your client is an UGMA/UTMA custodian, immediately discuss the potential problems with the client and alternatives for funding future expenditures for the child’s benefit. 1. The custodian can spend the account funds for the benefit of the beneficiary (ideally other than in satisfaction of the guardian’s legal support obligation to avoid income tax on the gain) before the beneficiary reaches the age at which he can withdraw the funds. Meanwhile, donor funds that otherwise would have been spent for the benefit of the beneficiary can be used to fund an irrevocable Crummey trust for the benefit of the beneficiary (see below). 2. The custodian may be able to give the child an unqualified withdrawal right when the beneficiary attains the age of majority and, upon lapse of the demand right period, invest the funds (on behalf of the child) in an illiquid manner (e.g., in a Family Limited Partnership or Family Limited Liability Company) or (on behalf of the child) transfer the funds to a self-settled trust for the beneficiary that limits the beneficiary’s access. Giving the child an absolute right to withdraw principal should suffice for purposes of vesting. To be on the safe side, the custodian should get the child’s consent to the investment AFTER the child has attained age 18. 3. The custodian could liquidate the UGMA/UTMA account and invest the proceeds in a Qualified Tuition Program (QTP) under Section 529 or another investment. Some of these QTP savings plans grant the beneficiary unrestricted access to the funds upon attainment of the age of majority; however, if the child uses the funds for something other than qualified higher education expenses, they will be subject to tax on the income. Planning Tip: Techniques 2 and 3 may expose the custodian to a claim from an unhappy beneficiary that the custodian has breached his fiduciary obligation. Be careful! Planning Tip: If the child is significantly younger than age of majority, the custodian may be able to establish an irrevocable trust for the benefit of the beneficiary, provided the trust gives a demand right window upon the beneficiary’s attainment of age of majority. The existence of the demand right window must be communicated to the beneficiary, preferably immediately on the beneficiary reaching age 18. To protect the custodian, the communication should be in writing and a receipt obtained from the beneficiary. Planning Tip: If the custodian invests in the name of someone other than the beneficiary (including the custodian’s name), the custodian will arguably have breached his fiduciary duty by usurping property that was the beneficiary’s. However, many parent-custodians are willing to take the risk of a lawsuit filed against them by their children. Counseling the custodian, in writing, is essential to protect the advisor. 2. Savings plans, which are essentially state-sponsored mutual funds. Only cash contributions (checks, money orders, credit cards and similar methods) can be made to a QTP. Contributions are not tax-deductible, but earnings grow tax-free and distributions are tax-exempt if used for “qualified higher education expenses” (QHEEs), which include tuition, fees, books, supplies, equipment, and room and board expenses. Planning Tip: State laws vary considerably regarding the deductibility of contributions, exemption of earnings, and taxation of non-qualified withdrawals and qualified withdrawals from a plan in another state. Some states, including Alaska and Colorado, provide creditor protection for their QTPs. You will want to be clear on your state’s laws in this area. Contributions qualify for the annual gift tax and the annual generation-skipping transfer tax exclusions. One of the most attractive gift tax features of QTPs is the contributor’s ability to “front-load” up to five years of gift tax annual exclusions (currently $13,000 per year, or $65,000 total) into the QTP in the first year and allocate to that year and four succeeding years. This allows the QTP funds to begin to grow tax-free while the donor removes up to $65,000 from his or her estate. (Married couples with two children can remove $260,000 (2 x 2 x $65,000) from their estate instantly in one year if they make no other gifts to their children in the five year window.) However, if the donor dies before the fifth year following the transfer, the annual gift tax and GST tax exclusions for years following the year of death are brought back into the donor’s estate for estate and GST tax purposes. Planning Tip: If the owner changes beneficiaries or effects a “rollover,” the account balance will not be subject to gift tax or GST tax if the new beneficiary is a member of the original beneficiary’s family and is assigned to the same generation (siblings and first cousins included). This can give the owner considerable power over an original beneficiary who is not inclined to pursue the higher education opportunity afforded him or her. Planning Tip: A trust can be named as successor owner of the account, thereby ensuring that the assets are used in the intended manner, even if the original owner dies or becomes incapacitated. Allowed ESAs to be used to fund primary and secondary school. ESA funds are to be used for qualified education expenses. Contributions must be made in cash and cannot be made after the beneficiary reaches age 18. The beneficiary’s parent or legal guardian controls the account (regardless of who makes the contributions) until the beneficiary attains the age of majority. A change of beneficiary is tax-free if the new beneficiary is a member of the prior beneficiary’s immediate family or a first cousin. Contributions constitute a completed gift for gift tax purposes. For estate tax purposes, funds in an ESA are “owned” by the beneficiary and are includible in the beneficiary’s gross estate, not the donor’s. Planning Tip: ESAs vary significantly by administrator. It is critical that the advisor carefully review the terms of the particular ESA plan in question. A cash value whole life or universal life insurance policy generally gives its owner the option of borrowing against the policy’s cash value. Flexible premium universal life and variable universal life policies typically include the option to take partial withdrawals of cash value without triggering loan interest charges. Withdrawals from a cash value life insurance policy (other than a modified endowment contract) are not subject to income tax until the cumulative withdrawals exceed the cost basis (i.e., the aggregate premium payments on the policy). Policy loans from cash value life insurance policies may be used to avoid current income tax on cash distributions in excess of cost basis. Policy owners may therefore take tax-free withdrawals and tax-deferred loans to pay educational expenses (or for any other use), while the cash value build-up continues to grow tax-free. If the policy continues until death, the income tax-free death benefit will repay any policy loans and the policy’s beneficiaries will receive the remaining net death benefit. In the event of premature death, the life insurance benefit can complete the planned education funding. The interest rate on policy loans is typically no more than 8%, although the insurance company will credit 6% or more back to the policy’s cash value. If the owner chooses not to pay the interest when due, automatic policy loans to pay the interest charge will further reduce the policy’s cash value and may ultimately cause the policy to lapse. Planning Tip: Clients should consider the use of flexible, permanent insurance to fund higher education and provide liquidity in the event of a parent’s premature death. Planning Tip: If owned by an irrevocable trust, life insurance can be free from gift and estate tax, yet serve many planning purposes in addition to funding education. 3. If the beneficiary dies before reaching age 21, any remaining trust principal and undistributed income must be paid to the beneficiary’s estate or be subject to a power of appointment. If the trust meets these requirements, contributions of up to $13,000 per beneficiary per year are not subject to gift tax (unless the donor’s annual gift tax exclusion for the beneficiary is applied to other gifts by the donor to the beneficiary). For the 2503(c) trust to continue after the beneficiary reaches age 21, the beneficiary must have a reasonable period of time after attaining age 21 to withdraw all of the trust principal and undistributed income. The trust should also grant the minor a testamentary general power of appointment to avoid inclusion in the parent trust maker’s estate if the beneficiary were to die before reaching age 21. Planning Tip: The third requirement above may serve to defeat the purpose of the trust. If the assets are distributed to the beneficiary’s estate, they will likely pass via intestate succession, often ending up back in the estate of the parent trust maker where the parent trust-maker will have to disclaim them to avoid estate inclusion. Therefore, it is wise for the trust to grant the minor a testamentary general power of appointment. This will result in the trust assets being includible in the gross estate of the minor for estate tax purposes. In the likely event that the minor does not die before reaching age 21, or if he or she does die but does not exercise the testamentary general power of appointment, the trust maker can otherwise control distribution of the trust assets on the beneficiary’s death. Planning Tip: The donor of a Section 2503(c) minor’s trust should never serve as trustee of the trust. This would cause the value of the trust assets to be includible in the donor’s gross estate for estate tax purposes. Demand rights convert what would otherwise be a gift of a future interest to a gift of a present interest, thereby qualifying the gift for the $13,000 gift tax annual exclusion. To qualify, the trustee must adhere to the strict procedure requirements for Crummey trusts: the trustee must notify the minor beneficiary (through the child’s legal guardian) that the donor has made a gift to the trust and give the beneficiary the trust-specified period of time (typically 30 days) to demand a distribution from the trust up to the amount of the gift. If the demand right lapses, the gift will stay inside the trust and continue to be governed by the trust terms. This demand right allows the trust maker to make contributions of up to $13,000 per year, free of gift tax and possibly GST tax, in the latter case only for the beneficiary’s generation. Demand trusts remove the trust assets from the trust maker’s estate, even if the trust maker acts as trustee, as long as the trust instrument limits the trustee’s discretion to make distributions to “ascertainable standards,” i.e., the health, education, maintenance and support of the beneficiary (and provided the trust instrument does not give the trust maker too much control over the trust). If a demand right beneficiary dies during the time that a demand right is outstanding, the amount of the outstanding demand right is includible in the beneficiary’s gross estate for estate tax purposes. Planning Tip: A demand trust is a flexible savings vehicle for education expenses and other expenses set forth by the trust maker in the trust agreement. While typically funded with life insurance, the trust maker can also fund a demand trust with other assets. Health and Education Exclusion Trusts are designed specifically to take advantage of the gift tax-free and GST tax-free nature of direct payments to providers for a beneficiary’s health and education expenses. With this type of trust, the donor transfers property to a trust carefully drafted to be exempt from GST tax. Oftentimes the donor establishes the trust in a jurisdiction that permits perpetual trusts because, once exempt from GST tax, the trust can pay direct health and education expenses for grandchildren and their descendants without anyone ever having to pay the onerous GST tax (a tax at the highest federal estate tax rate, currently 35%). To prevent imposition of GST tax, a HEET must have a charitable beneficiary with a significant interest that is not separate from the non-charitable beneficiaries’ interest. 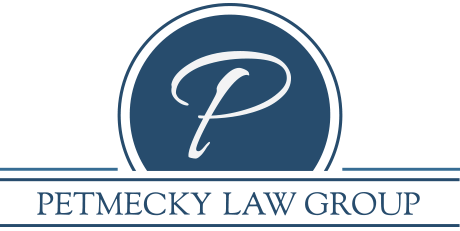 Planning Tip: The charitable beneficiary requirement of the HEET makes it an unattractive choice for clients who are not charitably inclined or do not have taxable estates and a desire to fund future generations’ health and education expenditures. Since only direct payments to the educational institution qualify, it is highly recommended that the donor make contributions to the school while the child is presently enrolled. If the donor wishes to make advance payments for numerous years’ tuition, the donor (and the parent(s) if the donor is the student’s grandparent) should enter into a written agreement with the educational institution providing that the prepayments are non-refundable. In a 1999 Technical Advice Memorandum, the IRS used as an example a situation where the beneficiary’s parent also agreed to pay any tuition and fee increases. For many clients, the availability of financial aid plays a role in the planning process, because assets placed in the student’s name may reduce (or even eliminate) the amount of otherwise available financial aid. According to FAFSA’s 2011-2012 Application and Verification Guide, the need-based financial aid rules state that 12% of the parent’s assets (special rules determine this amount for financial aid purposes) and 20% of the child’s assets are available for education. Therefore, shifting assets from the parent to the student through the use of UGMA/UTMAs, ESAs and 529 plan distributions may reduce the student’s need-based financial aid. Alternatively, life insurance should not impact need-based aid, whereas a demand trust may, depending upon the child’s access through the trust terms. Planning Tip: Consider strategies that avoid shifting assets to the student to prevent reduction of need-based financial aid. Numerous options exist for funding educational expenses. As with most planning, no one option is best for all clients in every circumstance and often a combination of options will best meet the client’s needs and objectives. Advisors who understand the options and who can ask the right questions are in a position to assist their clients in an area where there is great demand, and will provide great value to the advisory team.